Finding the right hair color can be intimidating. Going dark, going light, creating pops of bold color or subtle flashes of complementary shades, or perhaps doing something completely different… there are so many colors, where do you begin? 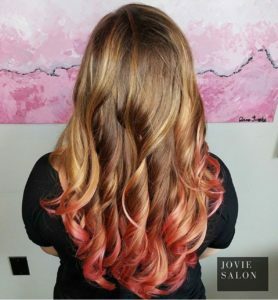 Jovie Salon is a Goldwell Master Colorist certified salon and our professional hair artists create beautiful and luminous colors from an infinite combination of the best quality professional hair colors in the industry. Your Jovie stylist will thoughtfully consult with you on the color choices that most complement your hair and skin tones, offer coloring and highlight placements to best emphasize your gorgeous hair cut and styling, and seek your direction in where you wish to take your look. Drawing from our work at New York Fashion Week, Paris Fashion Week, and Miami Swim Week and working backstage with models and designers to create the defining looks and style trends for the next year, our Jovie Salon team looks ahead to runway fashion and translates these trends into wearable looks here at home. Where do you begin for your new hair color? In the confident, educated, and professional hands of your Jovie Salon stylist. 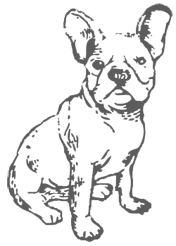 Give us a call, we’re here to help.